There are no GIRLS CHEERLEADING-FALL (V) games from 21 Sun, April 2019. 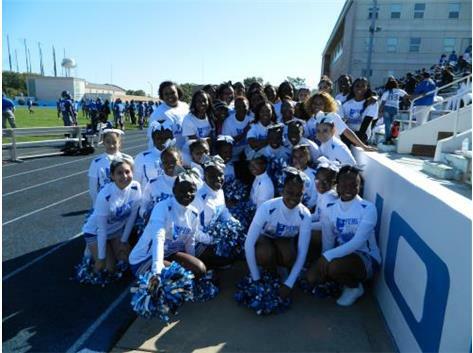 The Proviso East High School Cheerleader team will be having try outs on Monday - Wednesday @ 4:00 p.m. out by the Football Stadium/Track Field. The team is looking for students interested in becoming cheerleaders for the Fall (Football) and Winter (Basketball) seasons. If you are willing to learn and grow with our team you are welcome. You are more than welcome to come out and observe and see what we are about before you decide to join us. Hope to see you!